Karen Aruba Art is an art brand with a back-story as unique as the illustrations it produces. 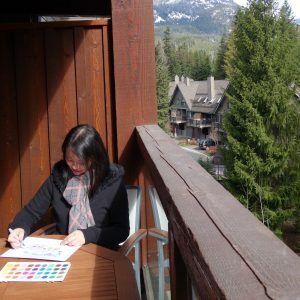 As an illustrator specialising in sketching, Karen is a self-taught artist with a passion for creative illustration. Her learning process is mainly through observation and practice, with a good dose of enthusiasm thrown in. She derives inspiration from everything she comes across: from nature and sky to building and architecture, from traditional culture to creative doodle. As an avid traveler, this ensures Karen is never short of inspiration and creativity. These all attributed to Karen’s art value: Draw Life to Happiness, Paint Life in Colours. Why is it named ‘Karen Aruba Art’? Karen takes inspiration from the one year the illustrator spent growing up in Aruba as a child. 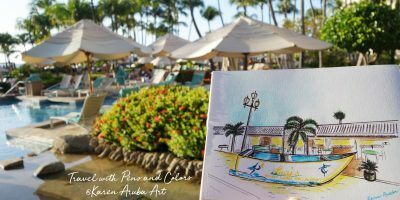 Aruba is a tiny Caribbean island in Central America well known as “One Happy Island”, and the happiness Karen experienced in this idyllic setting still inspires her travel- and culture-based artwork today – hoping to bring in more energy into people’s life with creative and happy drawing. 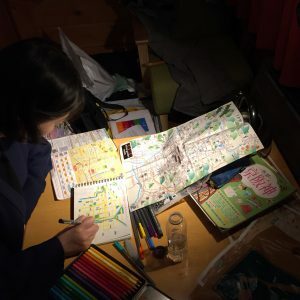 ‘Travel with Pencil,’ ‘Travel with Color’ and ‘Travel with Pen’ are Karen’s main themes of work, containing photography, painting or sketching features related to travel and culture theme. At DesignInspire 2017, she was the sole Hong Kong representative among ten international designers to present her story and creativity in the “Design without Boundaries” exhibition zone. 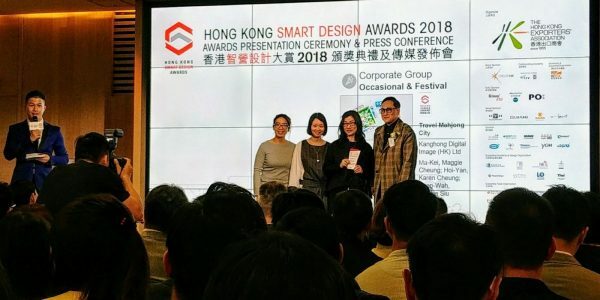 In April 2018, her “Travel Mahjong City” project has achieved the Hong Kong Smart Designs Award 2018. Her popular “A Mahjong Story” illustrations have bridged the gap between traditional cultures and modern lifestyles and passes the skills and know-how from the old generation to the new . Throughout the year, Karen has made new achievements in the collaborative work with different parties: association, exhibition organisers and charity group to share the same vision. Creativity, originality, value-adding – the faith of Karen Aruba Art’s work to spread this around the world.